Dr.Morris is extremely professional and attentive. He is through and denotes time to find out what’s going on. I absolutelyrecommend him to anyone who needs a cardiologist. Dr.Morris is extremely professional and attentive. He is through and denotes time to find out what’s going on. I absolutely recommend him to anyone who needs a cardiologist. Very pleased with my first visit to Dr. Morris's office. He and his staff were professional, caring and organized. I feltthat my concerns were addressed and that steps were being taken to address my health issues. Very pleased with my first visit to Dr. Morris's office. He and his staff were professional, caring and organized. I felt that my concerns were addressed and that steps were beingtaken to address my health issues. 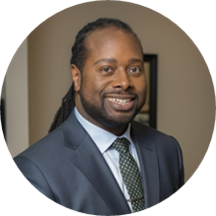 Michael T. Morris II, MD is a cardiologist and the founder and president of Atlanta Vanguard Medical Associates, P.C.. Dr. Morris attended Vanderbilt University in Nashville, Tennessee and earned a Bachelor of Science (B.S.) degree in 1996 with a double-major in Chemistry and Psychology. He then attended Morehouse School of Medicine in Atlanta, GA, where he received his Doctor of Medicine (M.D.) degree in 2001. After medical school, Dr. Morris completed his Internal Medicine training at Mount Auburn Hospital in Cambridge, Massachusetts, a teaching hospital of Harvard Medical School, in 2004. While at Mount Auburn Hospital, he also held the faculty title Clinical Fellow of Medicine at Harvard Medical School. He then went on to complete subspecialty training in Cardiovascular Disease at the State University of New York Health Science Center at Brooklyn (SUNY - Downstate Medical Center) in Brooklyn, NY, where he also held the faculty title of Clinical Assistant Instructor. Following completion of his cardiology fellowship training in 2007, Dr. Morris entered an Advanced Cardiac Imaging Fellowship at St. Lukes-Roosevelt Hospital, a teaching hospital of Columbia University College of Physicians and Surgeons in New York, NY where he obtained Level III training in both Echocardiography and Nuclear Cardiology. This is the highest level of training available in these modalities and is intended for cardiologists that will hold Director level positions in cardiac imaging laboratories. Dr. Morris began caring for patients in the Atlanta area in 2008 after joining the faculty of Emory University School of Medicine as an Assistant Professor of Medicine. He served as an attending cardiologist at the Emory Heart & Vascular Center. In addition to direct patient care, Dr. Morris served as the Medical Director of both the Echocardiography Laboratory and Intensive Care Unit (ICU) at Emory Adventist Hospital. Dr. Morris is a member of the American College of Cardiologists, American Society of Echocardiography and Association of Black Cardiologists. Dr. Morris is an avid music lover and enjoys listening to various types of music. He plays the drums and percussion instruments, having done this since junior high school. He also enjoys spending time with his family, including two young boys - Michael III and Xavier. He loves to travel and has a strong passion for performance cars. Hes a great doctor. Very thorough and nice to talk to. Patient waiting area and registration window were a bit overwhelming. I don't usually write reviews for stuff, but after being a patient of Doctor Michael Morris I can honestly say there is nearly no one as deserving of one. Firstly, the wait time was nearly non-existent. I didn't spend more thanfive minutes in a waiting room. In addition, my visit was made infinitely easier by both the professionalism and the bedside manner in which both Doctor Morris and his staff displayed. Overall, If you're looking for an efficient, kind, and well-educated doctor, he's your man. Dr Morris was helpful and kind. His staff were problematic at times (when I informed the nurse that I was having trouble eating enough and had been losing weight unintentionally recently, she said that she wished she had that "problem" anddidn't include it in my file), but most were attentive and nice. The only real problem I had with Dr Morris was that he wasn't very knowledgeable on my condition or the available treatments. He was able to (correctly) diagnose me, but he seemed confused by me (a young, small, healthy-looking woman) coming to a cardiologist. A later cardio confirmed my diagnosis, but was much more helpful w/r/t changes I could make and different meds to try. I would recommend Dr Morris, but probably not for people with my condition (IST/POTS). Very personable, professional and genuinely seemed to care about my health history, my family health history and did not seem to be ina rush to get out of the room. Very understanding and helpful he does all he can to assure you everything is fine! Im glad i found him through ZocDoc! Dr Morris is great! After a few trips to the hospital and no real help. He not only helped me understand the information and data from the hospital he gave me more details and an understanding of what needs to happenmoving forward. I never felt rushed or unimportant. The wait was only due to my being a new patient and new staff being trained. I didn't mind the wait as I understand it takes time to learn new things. They have an amazing front desk crew! Great experience! After leaving I feel confident in Dr. Morris knowledge. He explains and take time to hear what you have to say. ?????????? I found Dr. Morris to be caring & knowledgeable but this was just consultation. DR. Morris always lend an empathetic & sympathetic ear. He listens to all your concerns & symptoms & he genuinely not only attempts to relieve your initial symptoms but comes up with a care plan for the future as well. Hegives solid advice that any patient can follow & is truthful about what you're doing that isn't working & why it isn't. I literally will have to fly back & forth to see him & I will happily do that because I value his knowledge & council. Very good experience! Went over lots of possibilities and began a treatment plan including tests to pin point my issues. I felt like he really wanted to help. He listened to me and answered all my questions. Highly recommended! Dr. Morris II was amazing! I wasn't sure what to expect, I had never seen a Cardiologist before, and I didn't know if I could convey my concerns well enough for him to help me in my first trip. He exceededmy expectations. He was very knowledgeable, very welcoming, and easy to talk to. I'm glad I came to see him, and I'm looking forward to working with him to get to the "heart" of my concerns. Heh, see what I did there? Dr. Morris was amazing. He LISTENED, understood, and addressed my problems. Professional, approachable and eloquent. Great Doctor! What a relief to speak to a physician without rushing! Have you ever had a doctor's appointment and felt stressed because the doctor: 1)stood while speaking with you giving the impression that he/she didn't have time to speak with you, 2)spoke at high speed giving the impression that you were getting a rote response? Well, that's not what you get at Dr. Morris' office. He listens, gives medical advice and proceeds with a plan of action. What a relief! I wish he could be my PCP. Dr Morris was very direct and explained each situation I was experiencing. He spent a lot of time making sure I did not forget to mention a relative point of my existing physical problems when taking the first Medical History. Ileft feeling very informative and confident that I was in excellent hands for my upcoming cardiac needs. Dr. M. Morris II was very patient with all my questions, very knowledgeable and compassionate. I just love Dr. Morris. He gets it. He listens to your concerns, offers suggestions that as a patient you can actually adhere to, AND if he doesn't know something (which is extremely rare) he immediately puts you I touch withwhomever does. Love their office & all the staff are just some of the sweetest, most compassionate people, & they don't your visit dreary or mundane!!! HIGHLY recommend them!!!!! Excellent doctor, staff, and location... very convenient. I feel very confident with this doctor, with his knowledge, personality and professionalism. Doctor Morris is now my new primary care physician. The thing I liked the best about Dr. Morris was that he explained his methods and the procedures in a very clear-cut way. He didn't want to do unnecessary testing so he is cost-sensitive. He had a very nice manner andsense of humor. I will continue to go to him; I liked him very much. Dr. Morris is very knowledgable and his techniques are definitely up to date. The best part is all tests were conducted in the office which we all know helps when it comes to insurance coverage. He's definitely an A+ Cardiologist. Dr. Morris is TRULY a phenomenal physician who genuinely listens to you, all your concerns, & your symptoms & tries to figure out all the pieces to the puzzle. I have already recommended him to several people & will continue todo so because he provides the best care I feel available & is truly a firm believer/supporter of the principals of the Hippocratic oath!!! I absolutely love Dr. Morris! He's real, honest, & genuinely cares for all of his patients young & olde. He doesn't sugarcoat things but delivers not so good news in a helpful encouraging manner that gets you motivated & moving toimprove your overall state of health! He even told me when a med he had to prescribe for me might cost a lot of $$ (it did but thankfully I have some good insurance that allayed quite a bit of the cost) & told me whom to contact for my immediate health concern that wasn't cardiology related! A phenomenal physician & a great human being! Dr. Morris took time to listen to my problems. He is very patient to explain with easy medical terms when he diagnoses me, even my problems are not easy to diagnose. Also I like very much the high-tech equipment he has in his clinic, especially that remote EKG printout. Great team...AND good Great Customer Service. He was very thorough and seems to be on the forefront of cardiology. He Lso took the time to answer all my questions in detail. Dr. Morris was very personal and spent time helping me understand my medications. The Dr was thorough and showed he really cared of my issue. Didn't like the wait time in the rooms at all, but other than that his service was great.